Discussion in 'Florida' started by Auto Paint Guard, Feb 10, 2016. 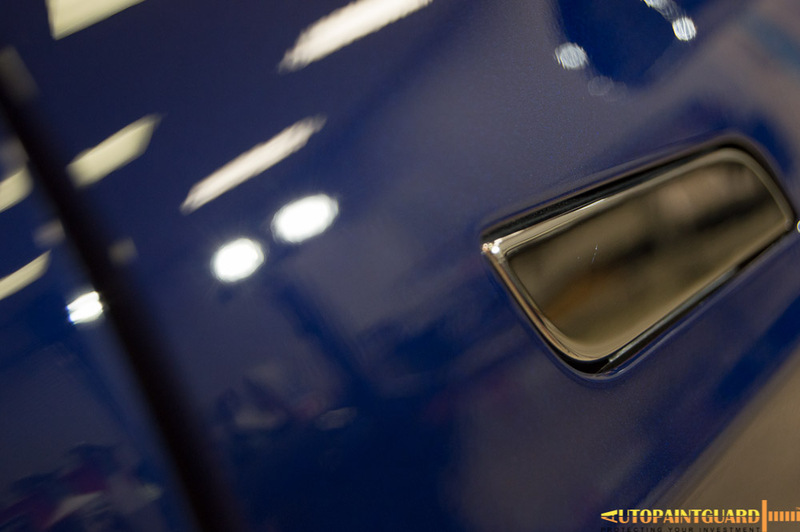 This Tesla owner wanted nothing but the best for their new Model S 85D! 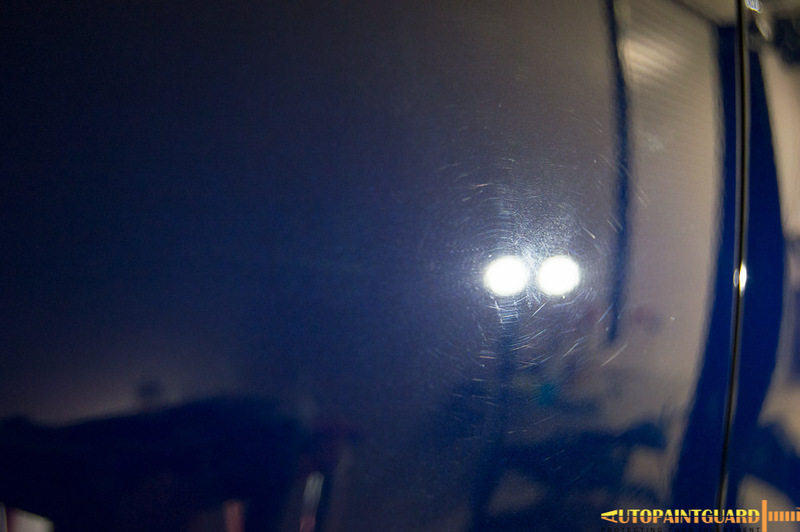 They brought their brand new car in to have a dent removed using paintless dent repair, get a full paint correction, ceramic coating, full front clear bra, and full 3M Crystalline Window film. Needless to say, this car went through a pretty serious transformation! 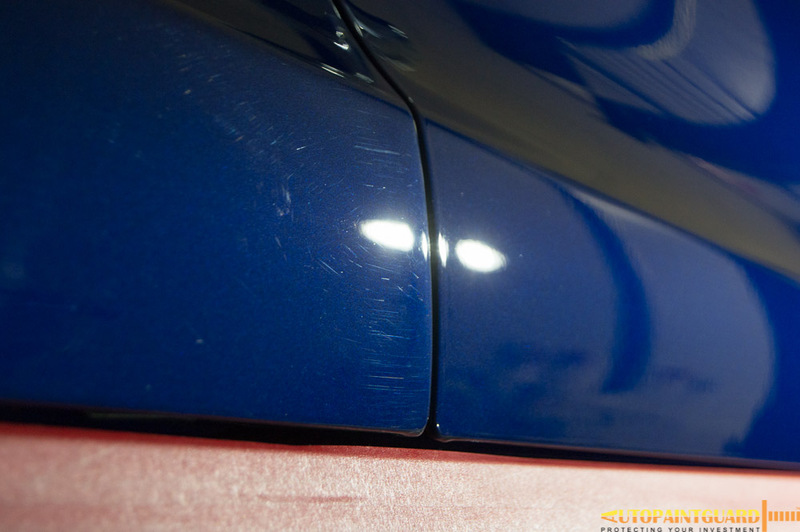 First things first, we needed to fix the dent and scratches left from when someone backed into them in a parking lot. 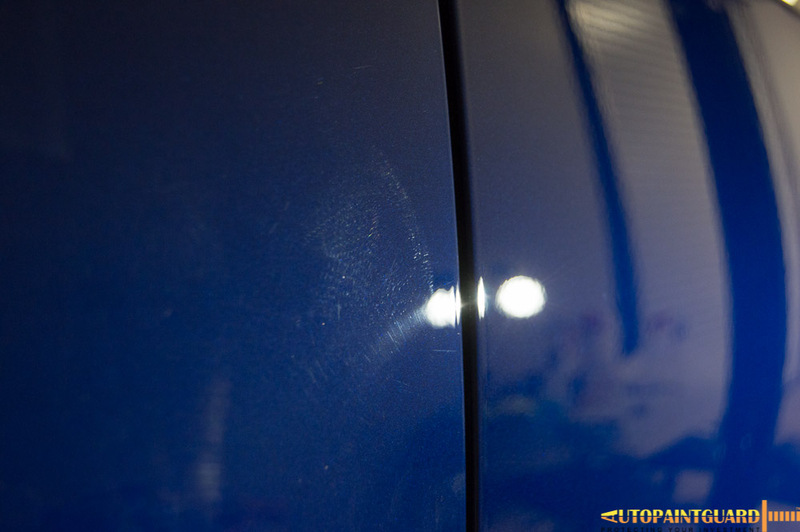 Although the dent is difficult to see, the swirl marks left from the other person's bumper are very visible. 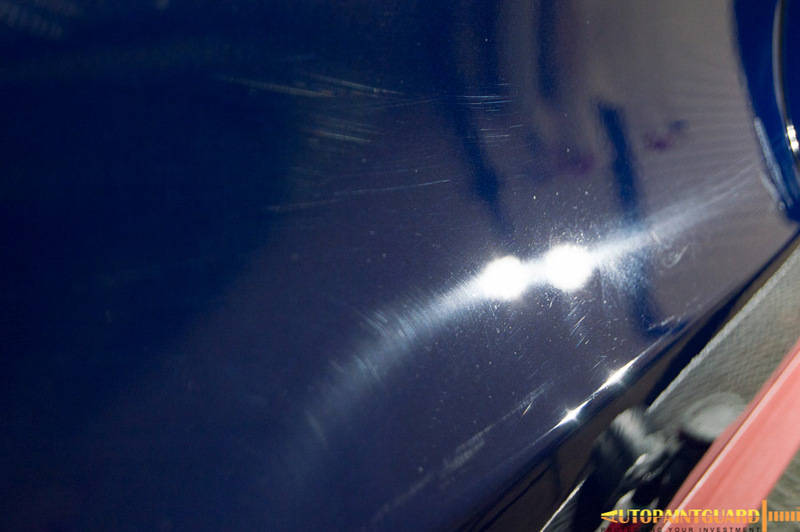 Our professional Paintless Dent Removal Service was able to easily fix the damaged area. 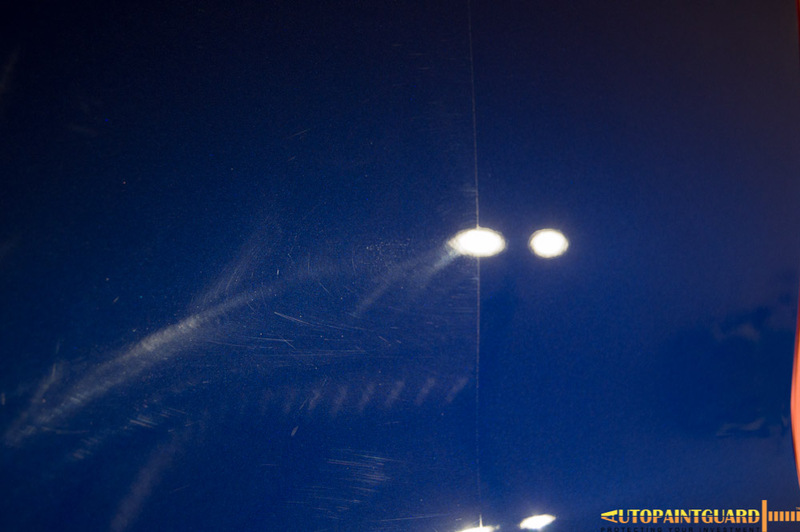 After we removed the dent we were able to correct the area where the scratches were left by the other vehicle. I think the difference is clear! 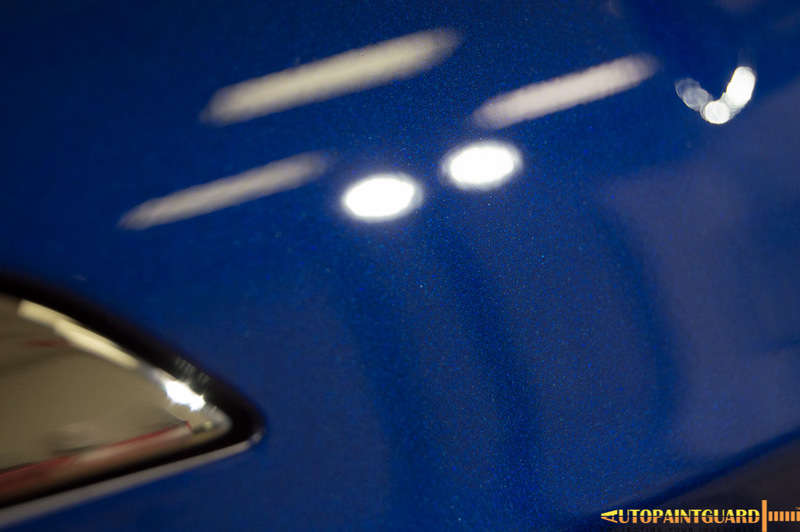 Tesla's are known for having extremely soft paint, meaning that they scratch very easily, especially on this Deep Blue Metallic color. 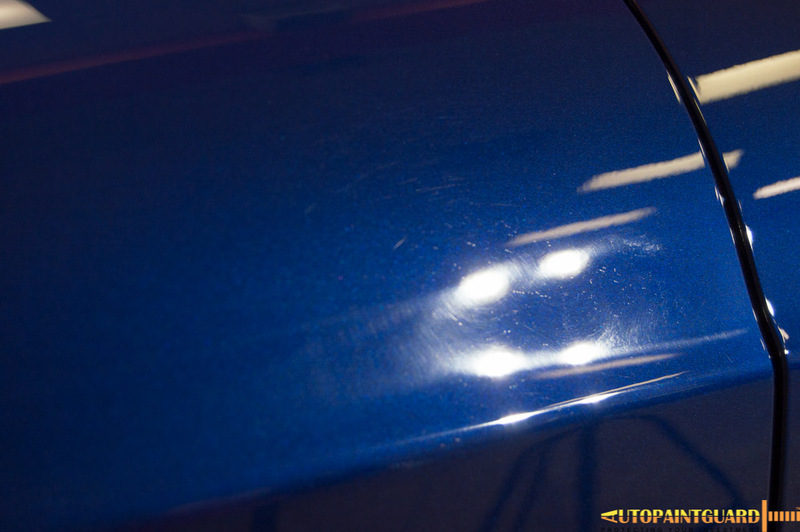 After showing the customer the amount of swirls he already had in his paint after just a few washes, he decided doing a full correction was an absolute must. 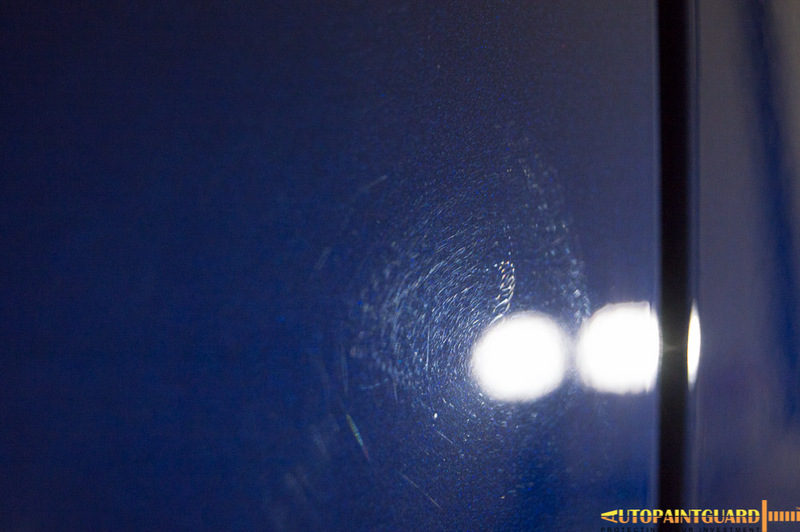 Here are some examples of just how bad the swirling and scratches already were and the result after the correction. 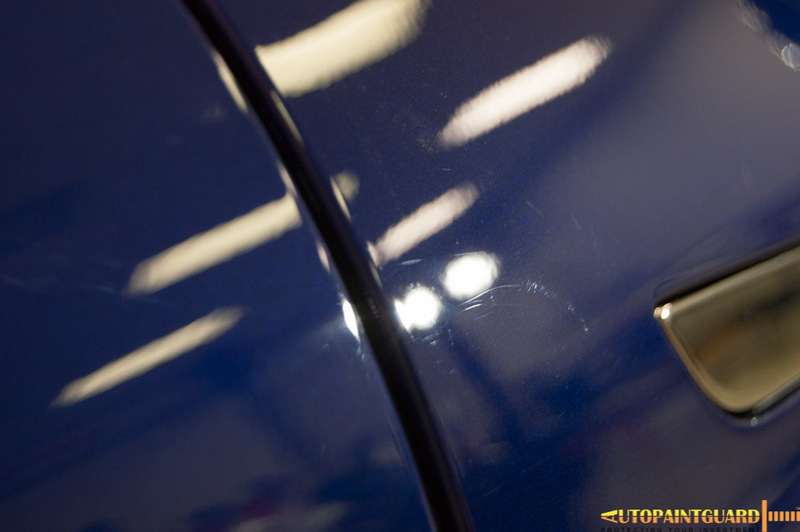 You can really see just how much this Tesla needed paint correction when compared side by side. 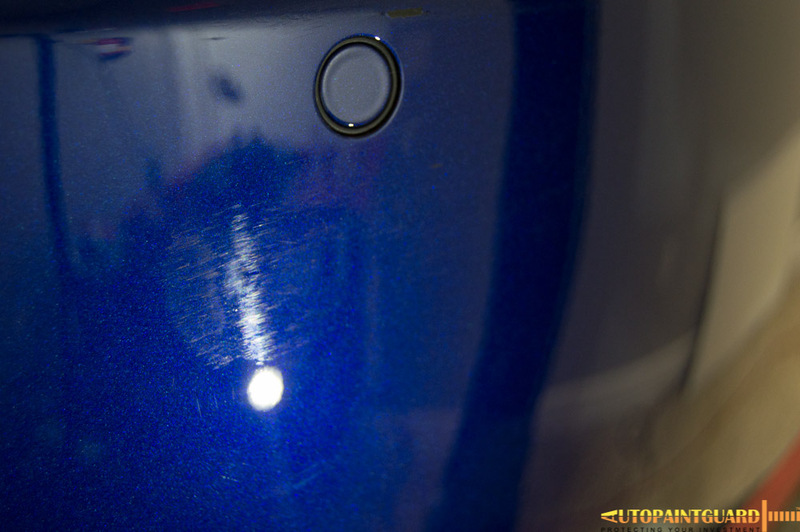 There were scratches all over this car even though it was brand new! 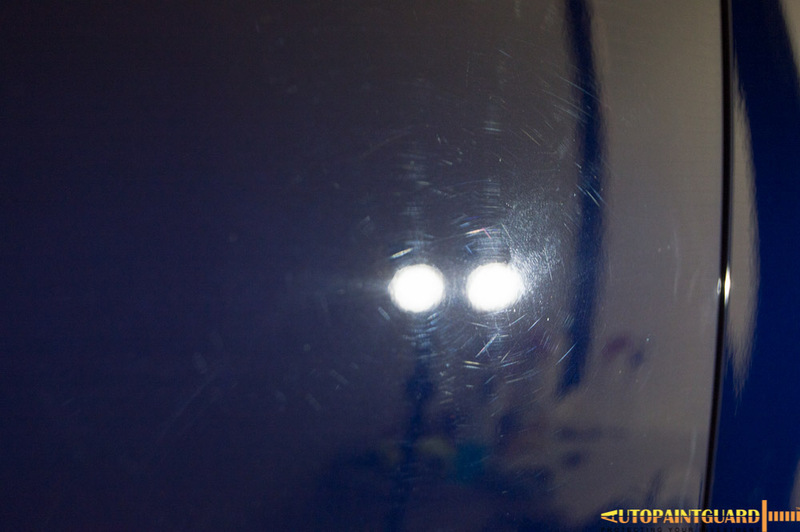 For the window tint on this Tesla, the customer was mainly focused on blocking out as much heat as possible. 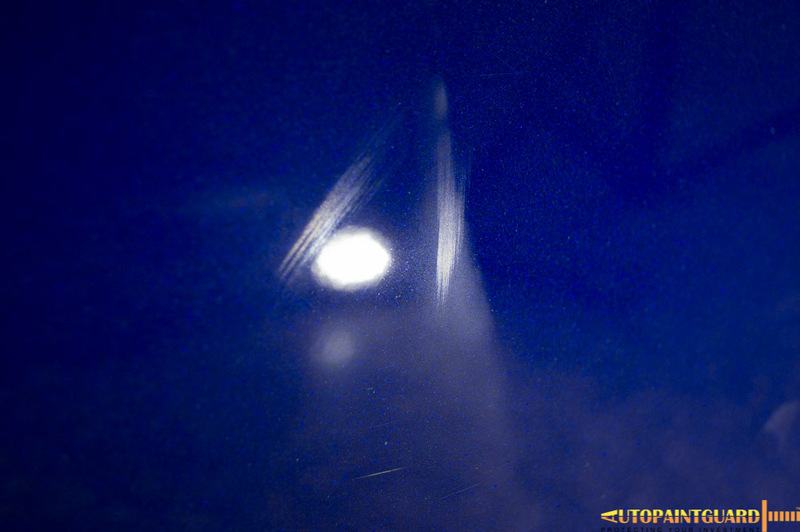 Sure, ceramic window film is pretty good at rejecting heat... but no where close to 3M Crystalline Film. The Crystalline series of films from 3M are some of the highest heat rejecting films on the market. This is mainly because they are having a 97% rate of Infrared rejection. Infrared heat is what you actually feel when the sun is bearing down on you through your window. 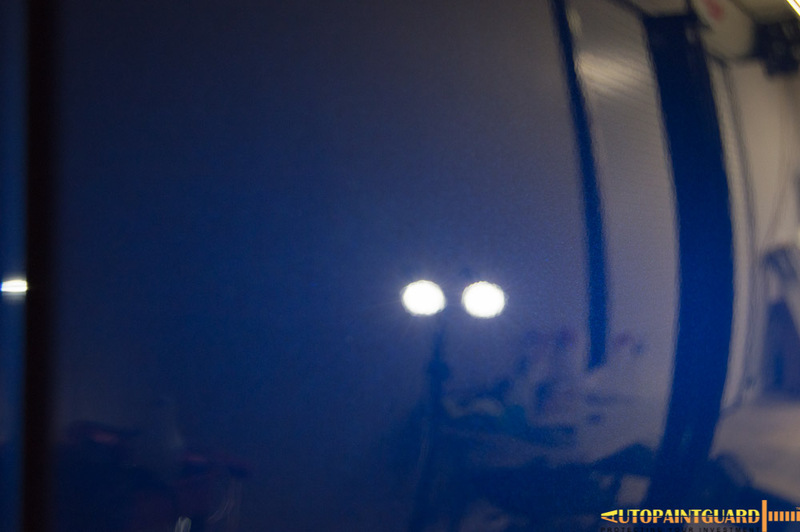 With Crystalline film, you will virtually never feel any heat. 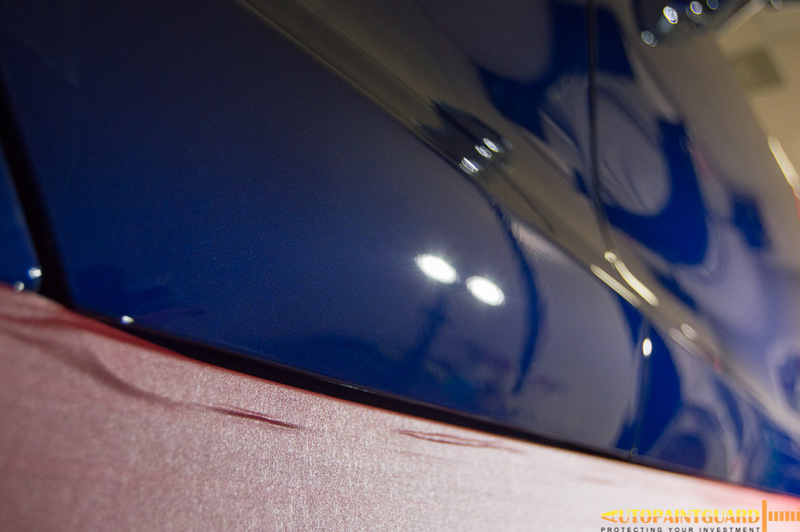 After the Paint Correction and window tint, we began installing Xpel Ultimate Paint Protection Film to the hood, fenders, mirrors, front bumper and headlights. 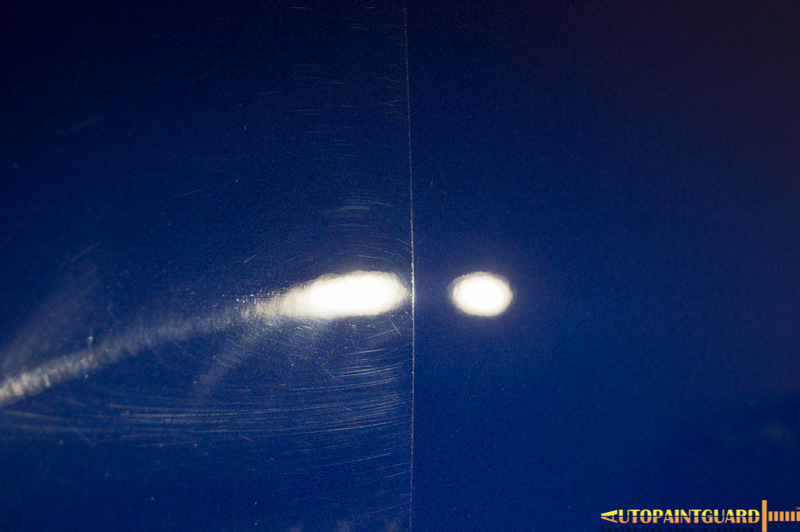 Our films are warrantied for at least 5 years not to fade, yellow, crack, or bubble. 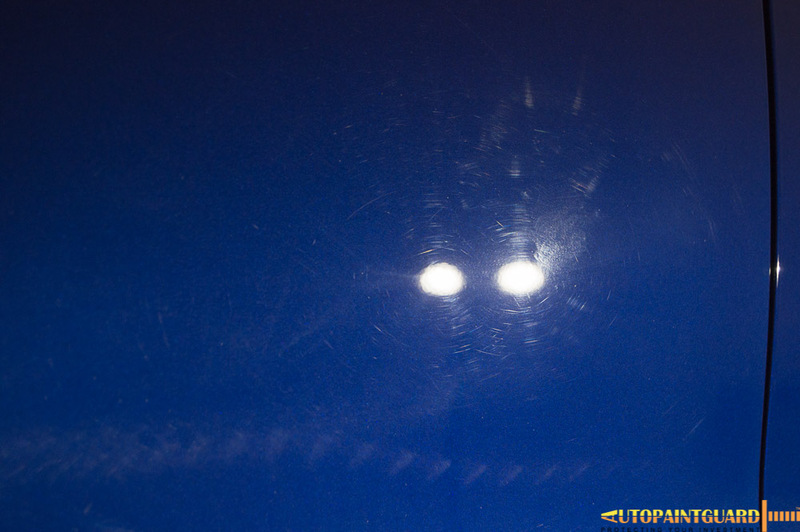 Using two people makes installing paint protection film on the hood much easier. 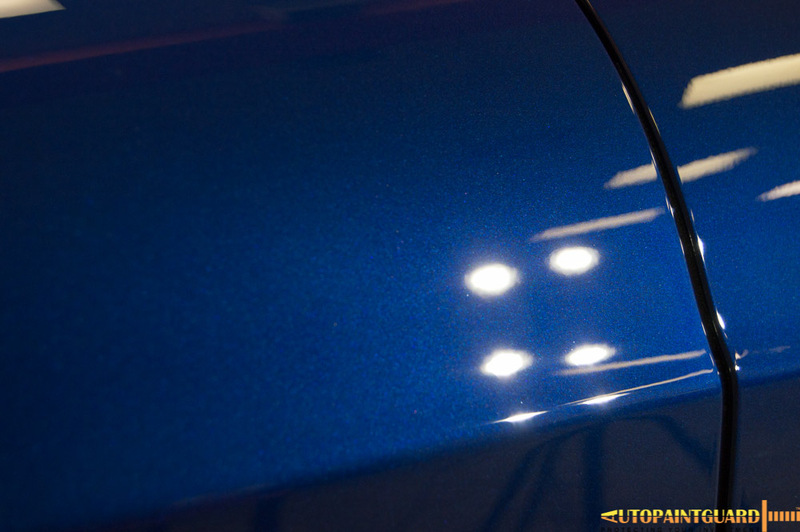 Notice the edges around the base of the hood, these will wrap underneath for a seamless installation. 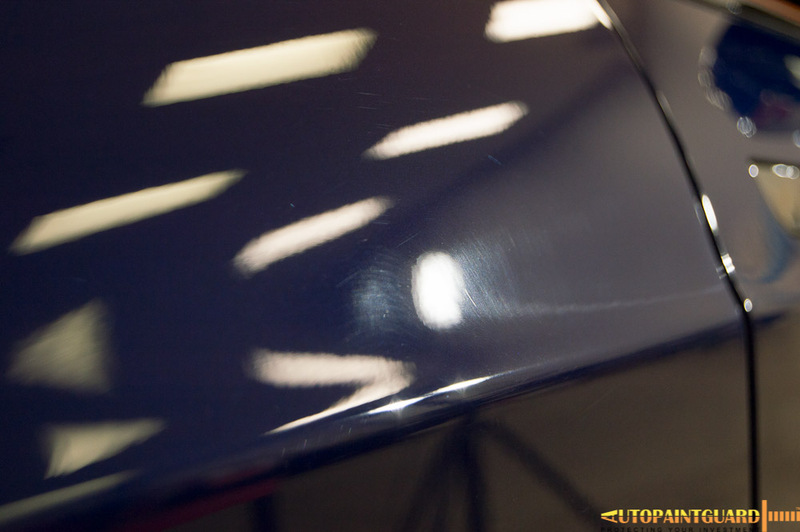 After the paint correction and clear bra, we applied Gtechniq Crystal Serum Ceramic Coating to the exterior of the entire vehicle and even over top of the clear bra. 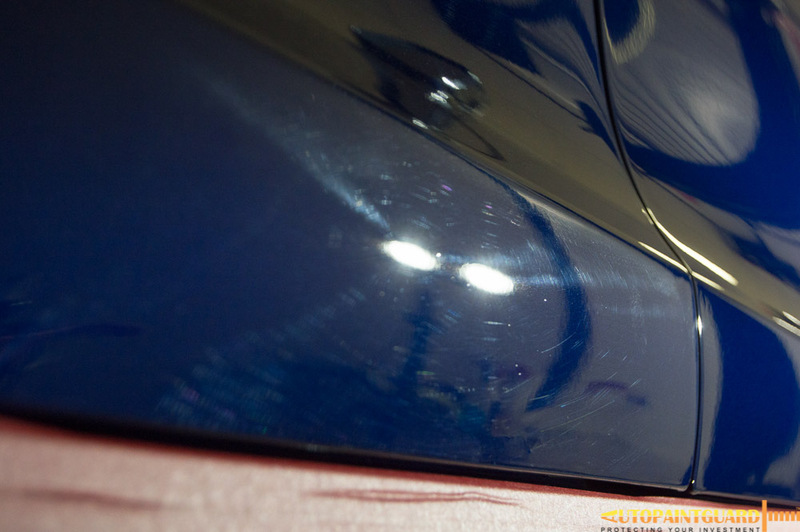 This coating is guaranteed to hold it's shine, polish and hydrophobic properties for 7 years with minimal maintenance. Give us a call for a quote or more information on our products!